Every year we celebrate Thanksgiving with at potluck at my sister's house. We always offer an open invitation to friends and family and celebrate Thanksgiving potluck style. We will have anywhere from 20-30 people at our Thanksgiving feasts. While everyone pitches in with the food, there are a few items that we make sure to provide as the co-hosts of the festivities. Generally on Thanksgiving we use flowers for pumpkins for a centerpiece on the buffet table. 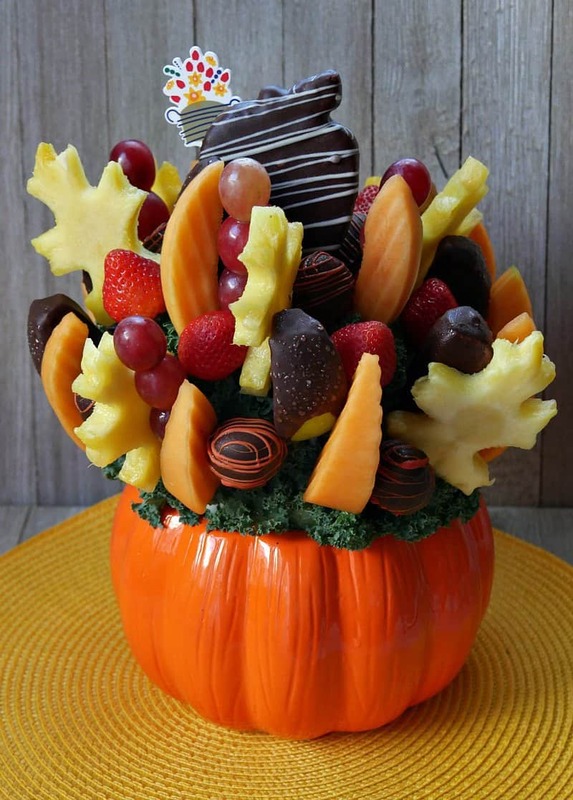 But this Fresh Fruit Bouquet™ from Edible Arrangements makes a gorgeous Thanksgiving dinner centerpiece. The Salted Caramel Harvest Bouquet™ with Orange Swizzle Berries is not only gorgeous, but it's also serves as dessert or an appetizer. It includes Salted caramel apple wedges; Chocolate dipped strawberries with festive orange Swizzle®; playful pineapple leaves; a chocolate covered pineapple “apple”; and additional grapes, strawberries, and cantaloupe. Order an Edible Arrangement for your dinner or send one to a loved one far away! Use code THANK17 and get $10 OFF $39+ ($49 for CA) valid 11/13 – 11/22, unlimited use, for fulfillment any time. Or use the code FEAST and get $20 OFF $99+, valid 11/13-11/22, unlimited use, fulfillment any time. Every great meal needs a great beverage! 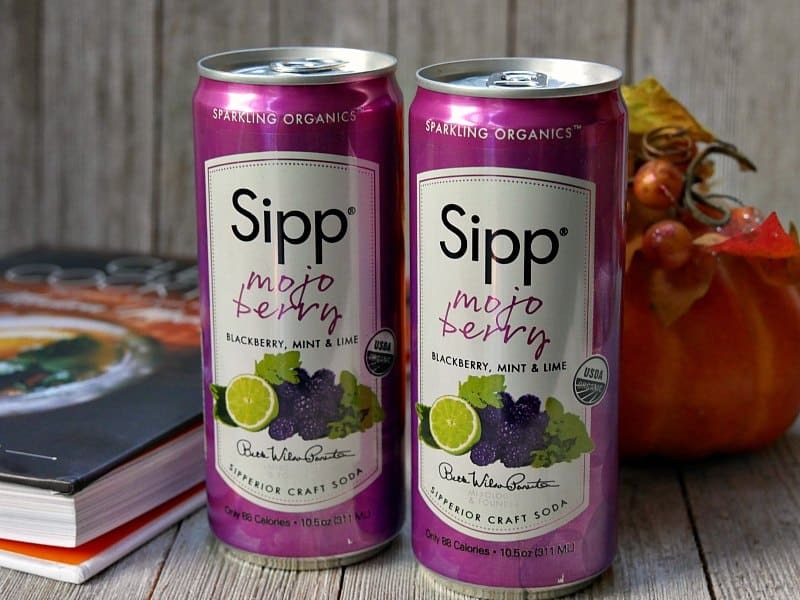 Thanksgiving is a great time to up your drink game with unique beverages like Sipp Sparkling Organic Drinks. Available in 6 flavors, Sipp can be used in a cocktail recipe (see below for ideas!) or chilled and served on its own. Organics blend fruits, herbs and agave mix together to create a lightly sweetened sparkling beverage that goes well with Thanksgiving dinner. 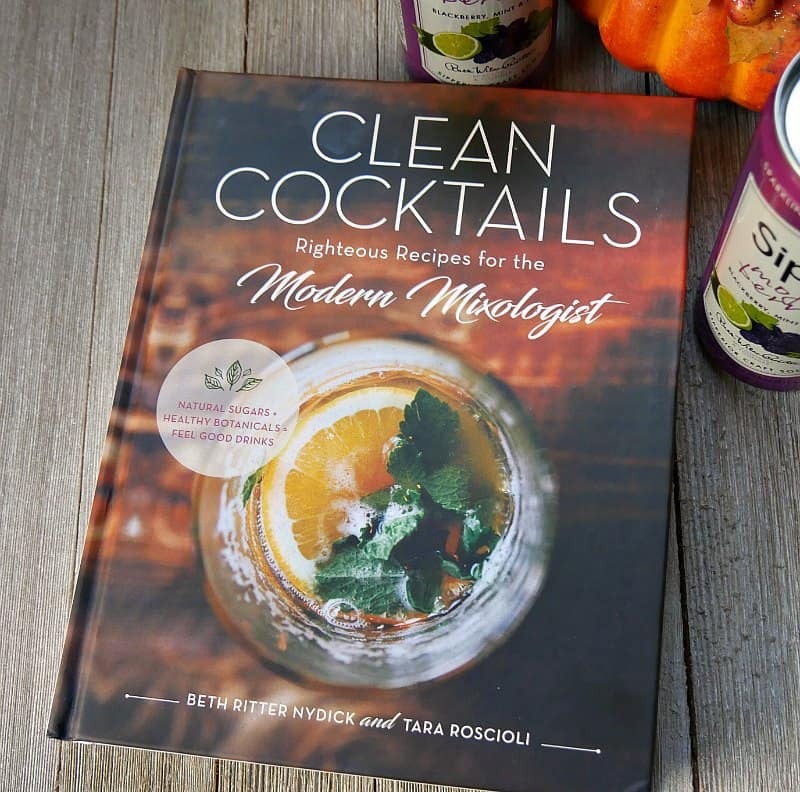 If cocktails are more your style, then you need to check out Clean Cocktails: Righteous Recipes for the Modern Mixologist by Beth Ritter Nydick and Tara Roscioli. 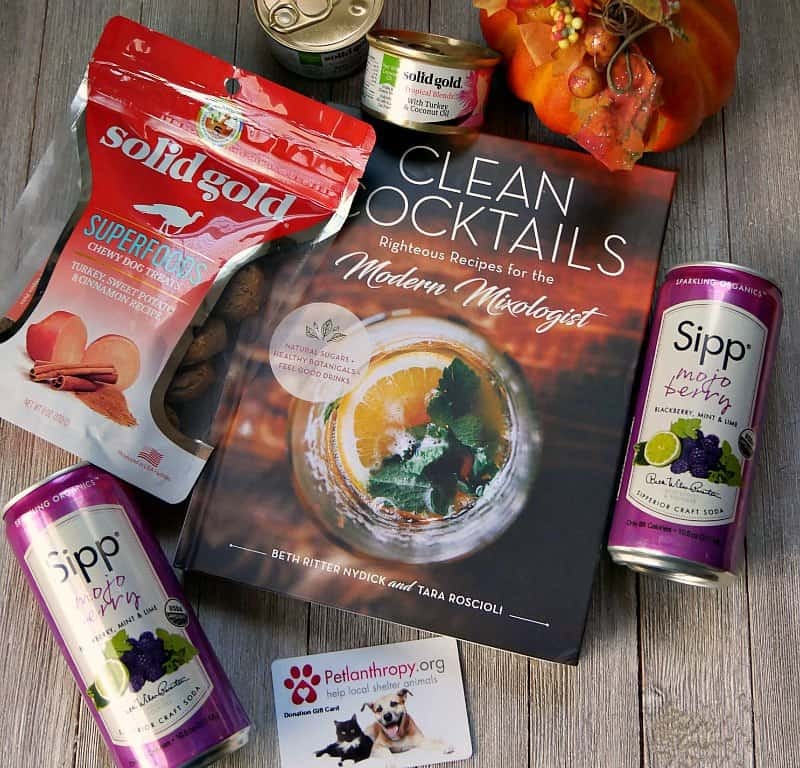 These holistic coaches created cocktail recipes that use low-calorie spirits, fresh juices, clean sweeteners like honey and maple syrup, and anti-inflammatory spices. The Pie Shooter sounds amazing! It tastes like a coconut cream pie, but with benefits of vitamins B complex and C. Sign me up! We have a dog and three cats. My sister also has a dog and everyone always gets a treat on Thanksgiving. 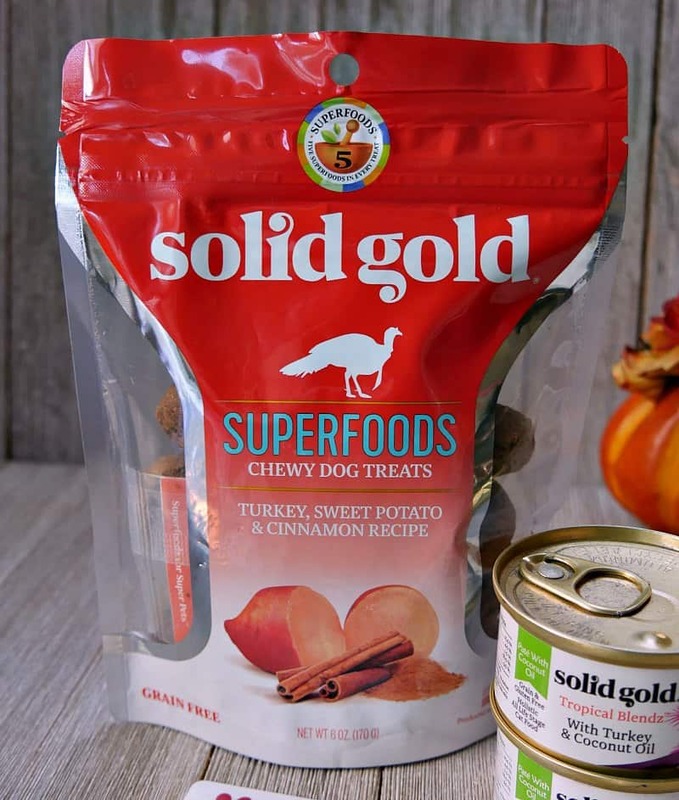 For the pups, check out Solid Gold Superfoods Chewy Dog Treats with Turkey, Sweet Potato and Cinnamon. These grain free dog treats combine turkey, sweet potatoes and cinnamon to deliver a texture, aroma and taste that are a nutrient-dense Thanksgiving treat for dogs of all sizes. 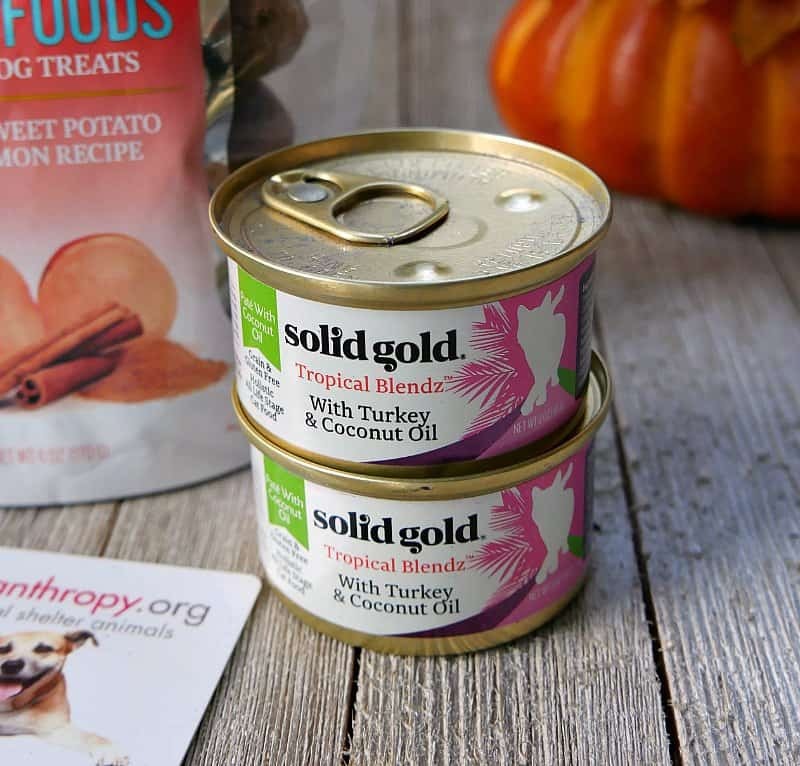 crafted with a balanced combination of wholesome turkey and coconut oil that can be served as a balanced Thanksgiving meal, as an accompaniment to dry food or as a tasty treat. What better way to show your gratitude for your pets than by giving to a local shelter? 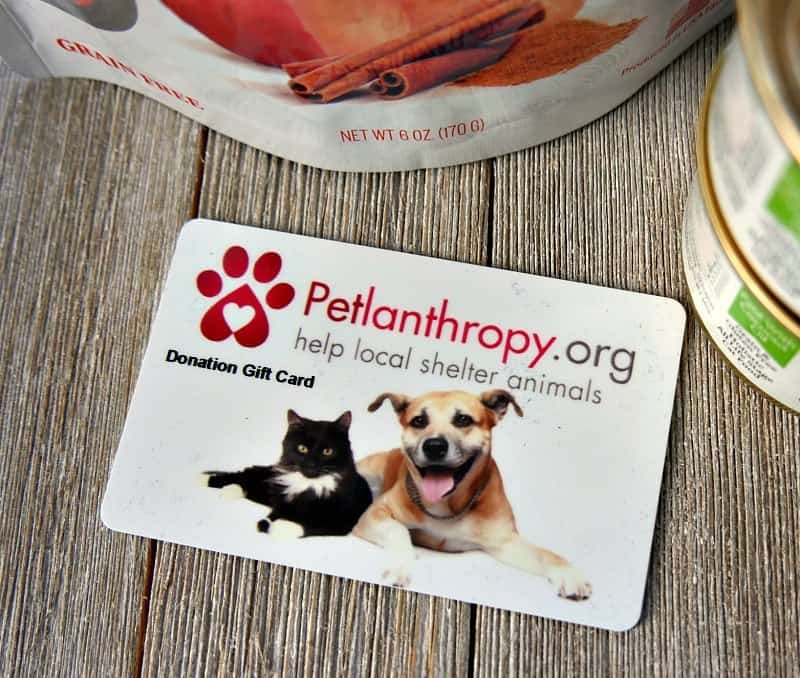 Petlanthropy Donation Gift Cards allow recipients to donate the value of the gift card to any local animal shelter or project on www.petlanthropy.org. This is a great gift for any pet lover at your celebration. Hopefully these ideas will help make your Thankgiving potluck the best one yet!